cant say enough about zZounds and play as you pay deals. 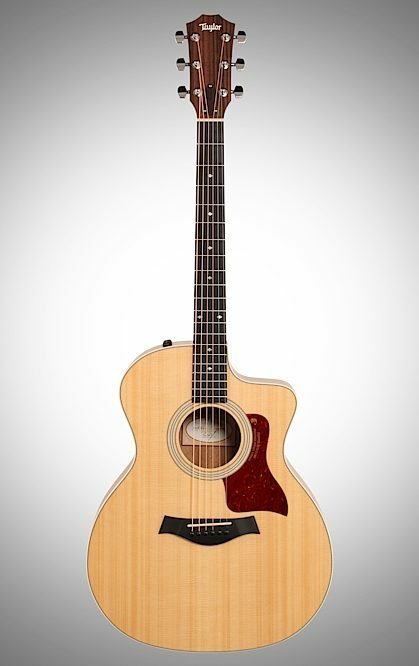 If it wasn't for them id be just dreaming of owning this Taylor guitar. The guitar fits my playing style so much better then the breedlove black magic i owned. The Taylor comes with a beautiful case and i like to look inside the color of the case as much as i do the guitar itself. Weird i know. The guitar was tabaco burst and its far nicer in person pictures dont do it justice. I have bought a nice fender amp to go with my Taylor and broke it in nicely going to nursing homes and playing at church.. Gets alot of complements on the sound. I will be content with playing this guitar. This one is a keeper.. Id recomend this guitar to anyone.